I was at the range today and got ready to shoot some factory Federal 224 Valkyrie ammo (mainly to recoup the brass since it’s wildly inaccurate), and I had a big...event. When I pulled the trigger, a strange bellowing report sounded and a massive fireball erupted from the suppressor and the ejection port. Like a HUGE one. If I was a lefty, I wouldn’t have eyebrows or facial hair. I dropped the mag and safed the rifle and inspected the chamber quickly, nothing unusual. I was expecting to see the front of my suppressor missing and mangled. It was intact and not a mark on it. I removed the can, and keep in mind I had cleaned the suppressor since the last time I shot it, so it was spotless. The blast chamber was FULL of crud. There was debris everywhere. The brass showed zero pressure signs at all, and nothing unusual to speak of. I think it somehow it had the wrong powder in it. Glad I was wearing eyepro. I have no idea what could have caused that but I would save the brass and try to get some of the gunk out of the can and call federal asap. The brass and primer didn’t show any signs of overt pressure, so it really makes me wonder if some sort of really fast burning powder somehow got into it as well. The subsequent fireball was huge. First shot after cleaning the can? It had been about three weeks since I cleaned it. The can was not loaded with solvents. I’ve done this many times before the same way without an issue. If I use a chemical like Hoppes, it’s manually removed with a rag or paper towel. The MSDS for the two things I normally use arent explosive or flammable. 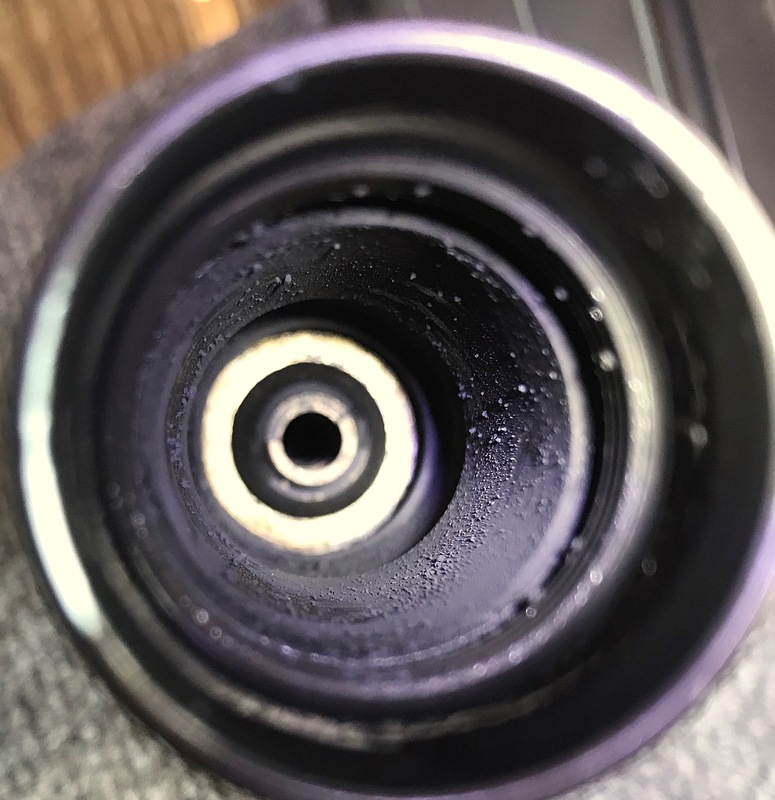 Whenever I clean a suppressor the first round seems to pop and have a large amount of smoke. Even using non flammable cleaners. This wasn’t a pop and smoke so much as a KABOOOOM and lots of fire. Is it possible that it had nothing to do with your suppressor, but a hang fire? I've had two in my life. One, when the firing pin when click and I looked up to see what happened and since my rifle was no longer on my shoulder, It went baoommm, looked like a flame thrower, and I caught a .338 win mag right in the jaw. I opened the camber, no signs of pressure on brass and a crap load of unburned powder and crap in that barrel. Another time, shooting a Ruger Super Blackhawk off of sand bags, and a similar results, only time between hammer and boom was less. Same thing though, a pistol full of crap and unfired powder. Barrel fell down and I shot a hole in two of my sand bags. No flattened primer or any "ringing" or other signs of pressure problems. One hell of a flame at end of barrel though. Anyway, I may be way off of the mark, but just a thought because your story reminds me of those I experienced, sans the suppressor.